Haitian Vodou is a very practical and scientific craft: either you please the spirits and get results or you don’t--often for good reason. The lwa--the spirits honored in Haitian Vodou--know that it is far more useful to find out exactly what is causing your money woes rather than receiving a quick fix. 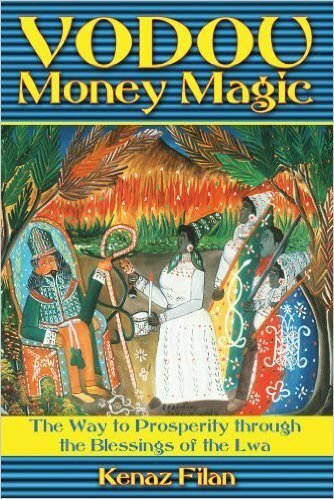 In Vodou Money Magic, Kenaz Filan offers a path to long-lasting and pervasive changes in your financial situation. Filan describes the lwa who govern financial matters and explains what services each can provide in attaining wealth or finding a fulfilling career--and who will likely offer the best wisdom for your needs. If you are having trouble finding a job, Legba’s Perusing the Want Ads spell can resolve this difficulty. If you wish to curb impulse spending, then you should work with the Great Serpent Damballah. If you need emergency financial assistance, Mama Danto is there to help. Filan presents easy-to-follow instructions for numerous financial spells and also reveals how the lwa offer counsel for family burdens, getting along with coworkers, and planning your future.